The cost of No Fault auto insurance is the popular explanation for why Detroit is such an expensive city for commuters. But, it turns out it is employers, and specifically those employers who are shortchanging their employees who drive on company time by more than $400 a month in mileage reimbursements, that are to blame. This is according to Runzheimer, a workforce management firm in Wisconsin, which places Detroit at the top of the list of most expensive cities in the country for employees who drive for business, and as reported in a recent story by Crain’s Detroit Business. Runzheimer based its facts on recent business mileage rates from the IRS — 54 cents per mile as of Jan. 1, 2016, which is down from 57.5 cents last year — as well as associated other costs of driving a car, including fuel, car insurance, registration fees and taxes. Runzheimer gives data to the IRS to use in setting annual mileage rates. It estimated the true cost of driving for work in cities across the country based on the average miles driven and related costs as of July 2015. For instance, according to Runzheimer, an average employee drives 20,000 miles per year on company time, equaling about 1,667 miles per month. At 54 cents per mile, an employee nationally could expect to recoup roughly $900 each month in mileage expenses. But in Detroit, the estimated average monthly costs for business motorists is $1,307.75 — beating out some of the nation’s largest, and most expensive, cities — including New York, Los Angeles, Chicago and Philadelphia. Detroit definitely has gotten a bad rap when it comes to driving and the high cost of auto No Fault insurance. We know the Motor City has the highest insurance rates in the nation. As an auto accident and No Fault attorney, it’s something that I’ve called a civil rights issue, as both the cost and the draconian penalties for people who are involved in motor vehicle accidents who do not have auto insurance, falls predominantly on those poor and largely African-American Detroit city residents who can least afford it. This then causes many residents who cannot afford auto insurance to drive “dirty” with no insurance coverage at all, as I told both Al Jazeera and Blac Magazine. In turn, they’re susceptible to serious dangers and loss of legal rights if they’re ever in a crash. In fact, most of the media gets it wrong when they claim Detroit’s very high auto insurance rates are because of our state’s No Fault insurance benefits, which includes all necessary medical care for life. 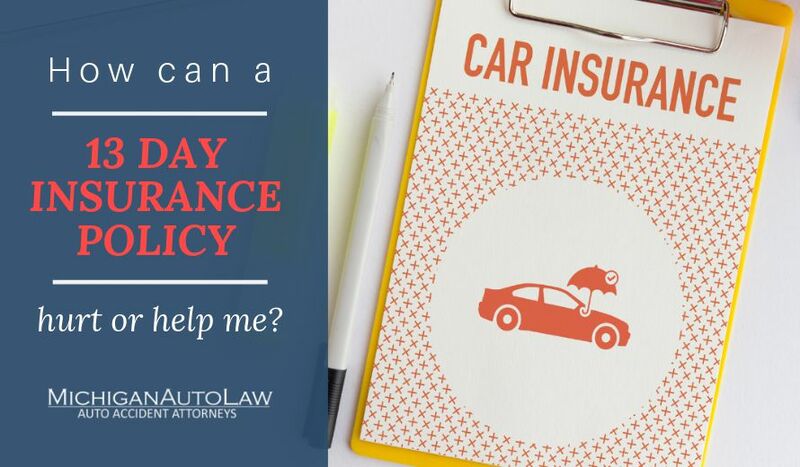 That doesn’t mean the high costs of auto insurance can’t be significantly lowered. I’ve explained my own solutions for lowering the cost of insurance in Detroit and Michigan. Finally, blaming the high cost of auto insurance on Detroit here just doesn’t make sense as the vast majority of these commuters live in more affluent suburbs, not in Detroit.